A well-constructed profile is the perfect way to attract buyers and sell your items quickly. We’ve put together a few simple tips to help you on your way to selling success. 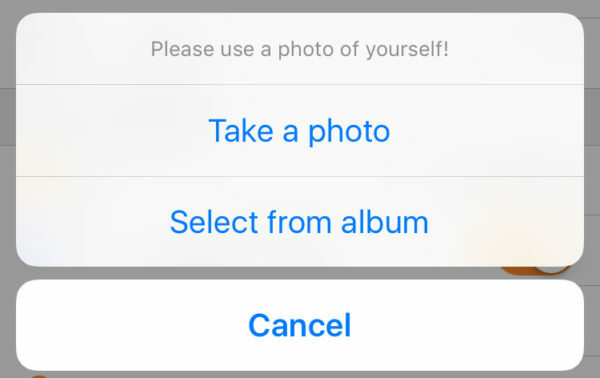 Snap a snazzy profile photo! Your profile photo, like your name, is a reflection of your shop and the items you sell. If you sell cars, why not choose a photo of one of your favorites? A makeup maven? Try a photo of your extensive cosmetic collection! Prefer a more personal touch? Use a photo of yourself! Choose the perfect profile name. Your name is a reflection of you, the seller! Make sure it’s family-friendly and succinct. Be as creative as you can! Just remember that we do not allow your contact information in your profile name. Confirm your location. 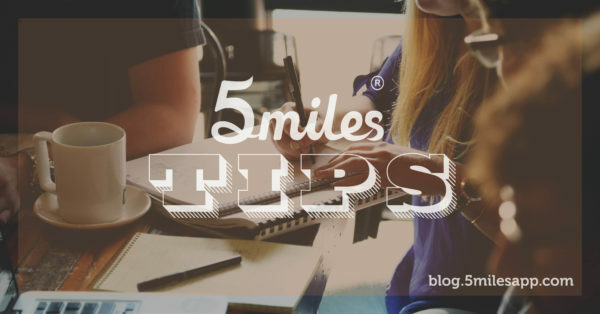 5miles uses G.P.S. to determine your location. You can also manually adjust your zip code if necessary. 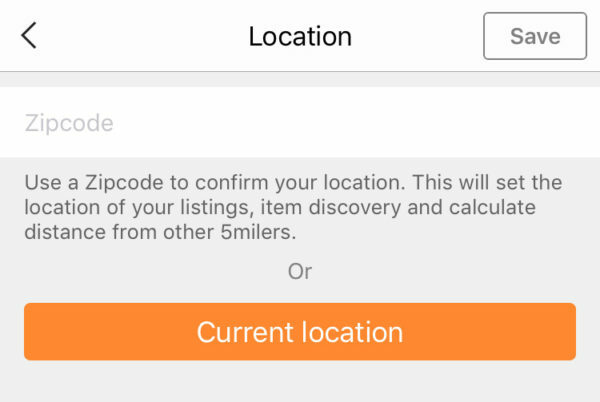 Confirming your location ensures that buyers in your area can find your items. Request those reviews! 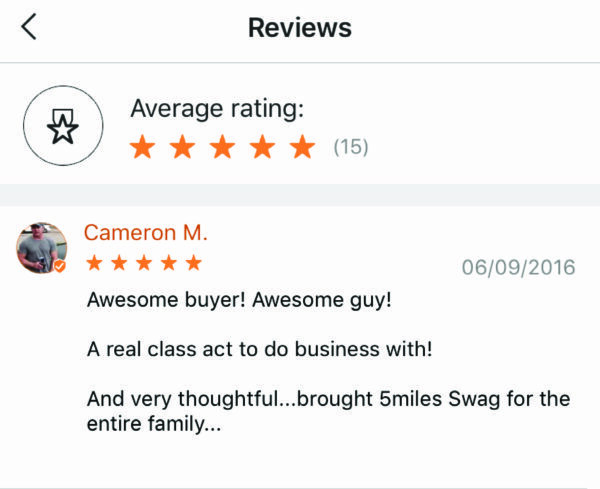 Reviews are a great way for buyers to see what an awesome seller you are. Make sure to ask buyers to rate their transactions with you to show their satisfaction with your products or services. The more positive reviews you have, the more attractive you look to potential buyers. 5. Set your shop link! Our shop link option provides a direct link to your listings. 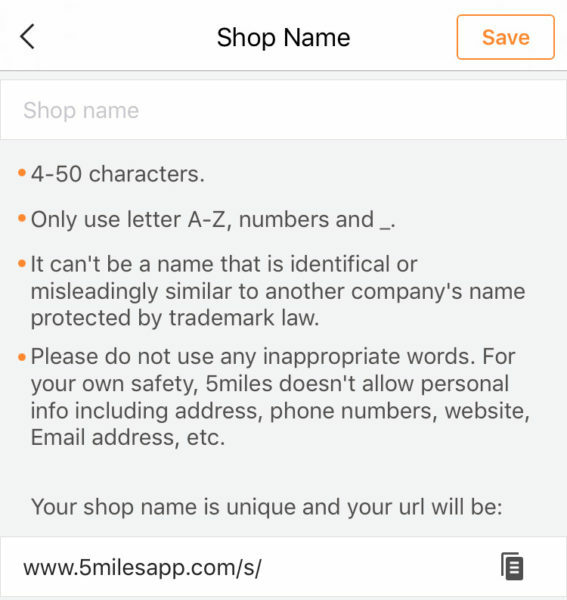 This is great for promoting your 5miles shop anywhere on social media. The more you promote, the more views your shop gets and the more likely you are to sell!